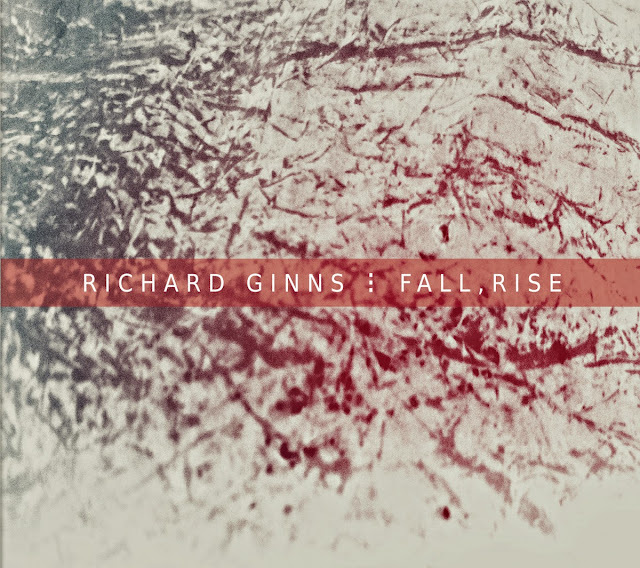 I have become very fond of the minimal musical expressionism of Richard Ginns through his album - "Fall, Rise" - released through the fantastic Twice Removed Records microlabel. On the face of it, "Fall, Rise" isn't that interesting a proposition: extensive field recordings used underpin gentle meandering neoclassical music ... but then when you get beyond the surface, when you dive deep & let Ginns’ work it's magic then his proposition not only makes sense but becomes remarkably compelling. This is a true minimalist expression, a less-is-more approach that utilises all available elements: subtle synths, strings, guitar and glockenspiel provide layers of sound that interplay with the field recordings and glitchy surface ambience to create a marvellous wall-of-sound. I know field recordings aren't for everyone but here Ginns has used them superbly well, creating soundscapes that work. He weaves his sound effortlessly with these found sounds and, in doing so, really highlights the poetry of sound that encompasses us in our day-to-day lives. In fact, if you reduce the volume of the album during playback, you can incorporate the sounds that surround you ... it adds an extra dimension to the music presented. Ginns was caught alone by a snowstorm ... it completely took over and reduced his visibility to next to zero. He was far from home, cold, tired and in fear of his surroundings, the reality of where he was really hit him. A voice in the distance, to which direction it was coming from Ginns couldn't tell, helped him, however ... he followed the sound and began to trek back knowing his ears would guide him ... the voice brought him back home and to safety. I'm glad Ginns was able to turn this lemon of an experience to the lemonade of "Fall, Rise". I, for one, am glad for this 'lemonade' ... I found this release utterly compelling and would recommend it to folks who like minimal ambient soundscapes.